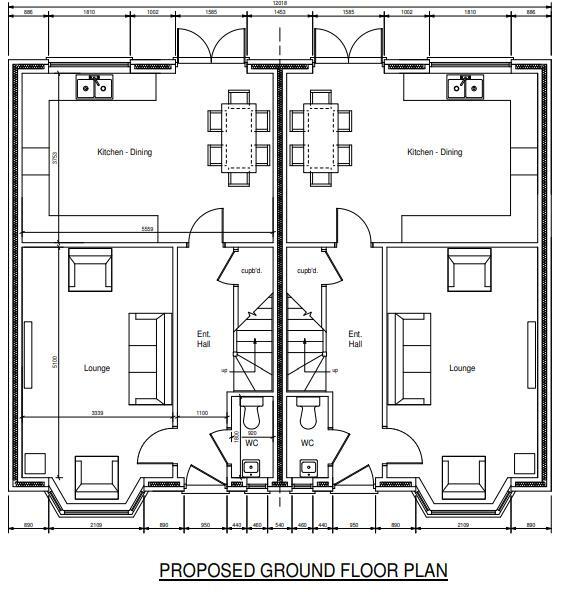 Walshe’s Property is excited to offer you this unique opportunity to purchase off plan, a three bedroom semi-detached property in the up and coming town of Crowle. Constructed by local builders J & S Developments, the properties will be of the highest standard. Internally the property boasts a kitchen/diner which will have patio doors leading out to the garden, a family lounge with bay window and also a downstairs toilet. On the first floor the property boasts three bedrooms, the master double with its own en-suite, and then a further double and single bedroom and finally the family bathroom. Externally the property offers a long shared driveway, which allows the house to be secluded and set back from the road. The property boasts ample off road parking for around three cars, and then a private rear garden. Situated in the sought after town of Crowle, offering all the local amenities you could ask for, and even a brand new leisure centre which is currently undergoing construction. The town offers good transport links into Scunthorpe and is situated on the edge of the M180 motorway.